So you have bought your new home! Congratulations!! Now it is that busy time to start preparing for the big move. We have prepared checklists to help keep you organized week- by week, moving day and after your move. Remember, if you have any questions contact us, we may be able to help you. What items will make the trip? Now is the time to determine which items you wish to take to your new residence. Items that you don’t need should either be donated to charity or sold at a garage sale. You may consider teaming up with your neighbours who want to sell some of their belongings, and plan a neighbourhood “sale”. If you plan on packing your own items, start collecting suitable packing supplies, you can purchase these materials from any van line agent or a moving company. 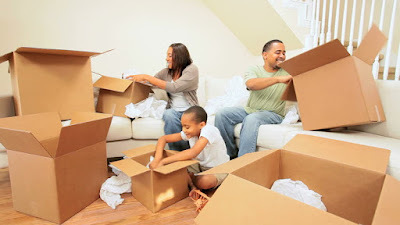 The boxes you purchase should be specially designed for moving household goods to prevent damage to your belongings. Think about the layout of your new residence and where you’ll place the furniture. Create a floor plan that will ease the stress of making decisions once the furniture arrives. What’s it like where you are moving? Get familiar with your new community. Request information on schools, community programs, parks, and recreation from the local Chamber of Commerce. Will you need travel arrangements? Now is the best time to make your travel arrangements (hotel, flights, car rentals, etc. )Try to keep travel plans flexible to accommodate any last-minute changes or delays. 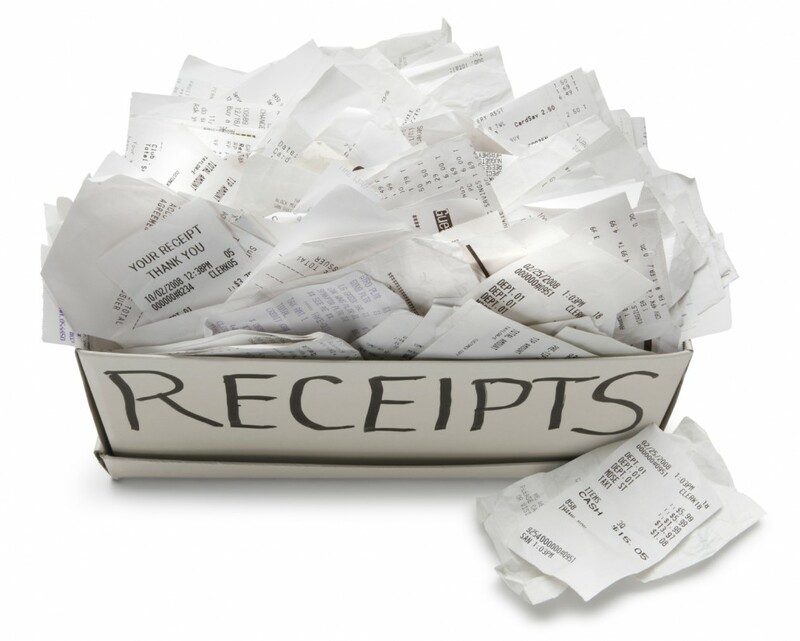 Keep all receipts for moving related expenses in a designated moving folder. Many moving expenses are tax deductible. Insurance, medical and dental records should be placed in a safe, accessible place. Also include prescription, and vaccination records. Plan on taking all vital documents such as: wills, stock certificates and other one-of-kind items (jewellery, coin collection, photos, etc.) separately. If you live in an apartment or condo complex, contact your property or building manager and inquire about scheduling your move date and time. Certain buildings may have date and or time restrictions as to when moving can be done. Register the kids at their new school &/or daycare. Contact you’re moving company and schedule your moving date, it is always easier to change your move date than to reschedule at the last second. Fill out a Canadian Postal change of address form at your local Post Office. Close any local charge accounts. 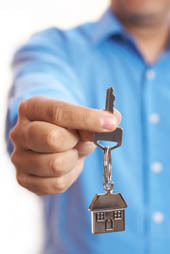 Notify insurance companies of your move and transfer all insurance on your home and possessions. Contact utilities for disconnection or transfer and possible refunds. Since you will want to have your utilities for disconnection on moving day, arrange to have them disconnected after you are moved out. If necessary. Arrange for a baby-sitter to watch your children on moving day. You may need someone to keep your children occupied and that they remain safe during the loading process. While sorting through your belongings , remember to return anything else you have borrowed. Register your pets for daycare if applicable. Do you have power, phone, cable, water, internet connections, etc..? Call ahead to have utilities connected at your new home. Make final packing decisions. Start packing items you don’t use often. Clean and clear your home, including closets, basements and attics. Call your bank to find out how to transfer your bank accounts. Got any safety deposit boxes lying around? Each year people move without clearing out their safety deposit boxes. Don’t be another statistic. If you have hidden any valuables around the house, be sure to collect them before you leave. Some laws prohibit moving house plants. Consider giving your plants to a friend or local charity. Plan meals that will use up the food in your refrigerator and freezer. Have your automobile serviced if you’re travelling by car. Transfer all current prescriptions to a drugstore in your new town. Dispose of flammable items such as fireworks, cleaning fluids, matches, acids, chemistry set, aerosol cans, paint, ammunition and poisons such as weed killer. Drain all the oil and gasoline from your lawn mower and power tools to ensure safe transportation. Refer to your owner’s manual for specific instructions. This is the time to tie up loose ends. Check through this guide to make sure you haven’t missed anything. Pack your suitcases and confirm your family’s travel arrangements (flights, hotel, rental cars, etc. ).Try to keep your plans as flexible as possible in the event of a change of schedule. Contact your moving company and make sure the movers have the address and phone number where you can be reached if you are not going directly to your new home. At least one day before moving, empty, defrost, and clean your refrigerator and freezer. If necessary prepare your stove to be moved. Try using baking soda to get rid of any odors . This kit can contain items such as snacks, beverages, and games for the kids to keep them occupied during the move. If you are stopping overnight be sure to pack essentials you’ll need while your belongings are in transit. Strip your beds, and make sure the bedding goes into a “ Load Last " box . Make sure you are on hand when the movers arrive . It’s important to have an adult be authorized to take your place if you are unable to be present at any time while the movers are there. Let the agent know to whom you have given this authority. Always try to spend as much time when the movers arrive. If you have special instructions make sure it is explained to your mover. Communicate well with the movers. Once the van arrives, review all details and paperwork. Accompany the driver as he/she inspects and tags each piece of furniture with an identifying number. These numbers, along with a detailed description of your goods and their condition at the time of loading, will appear on the inventory. It is your responsibility to see that all of your goods are loaded. So remain on the premises until loading is complete. To insure that nothing gets left behind always do a final inspection of the premises. Don’t sign any releases without completing this inspection. Where is a vacuum when you need it? Since you’ll probably want to clean before the furniture is unloaded, make sure your vacuum is packed last, so it can be unloaded first. Got power, phone, cable, water, internet connections, etc…? Check to make sure the utilities have been connected, and follow up on any delays. Do you have a connection? Confine your pets to an out-of-the-way room to help keep them from running away or becoming agitated by all of the activity. Perhaps consider taking them to a daycare facility to keep them from being underfoot & lessen their stress level. Note: To prevent possible damage, televisions , stereos , computers , other electronic equipment and major appliances should not be used for 24 hours after delivery, allowing them time to adjust to room temperature. Nobody likes to mess with paperwork; however , these items are critical to making sure you are entitled to every benefit as well as your saviour in case something doesn’t go as planned. 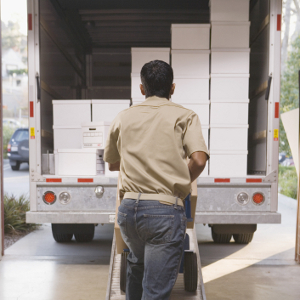 Moving companies are required to prepare an order for service on every shipment transported for an individual shipper. You are entitled to a copy of the order for service when it is prepared. The order for service is not a contract. Should your move be cancelled or delayed or if you decide not to use the mover, you should promptly cancel the order. Should there be any change in the dates on which you and the mover agreed that your shipment will be picked up and delivered, or any change in the non-binding estimate, the mover may prepare a written change to the order for service . The written change should be attached to the order for service. You and the mover must sign the order for service. The bill of lading is the contract between you and the mover, the mover is required by law to prepare a bill of lading for every shipment it transports. The information on the bill of lading is required to be the same information shown on the order for service. The driver who loads your shipment must give you a copy of the bill of lading before loading your furniture. It is your responsibility to read the bill of lading before you accept it. The bill of lading requires the mover to provide the service you have requested, and you must pay the charges for that service. The bill of lading is an important document. Do not lose or misplace your copy.Have it available until your shipment is delivered, all charges are paid and all claims, if any, are settled. At the time the mover’s driver loads your shipment, he/she, although not required to do so, usual inventories your shipment listing any damage or usual wear. The purpose is to make a record of the condition of each item, if the driver does not make an inventory, you should make one yourself. 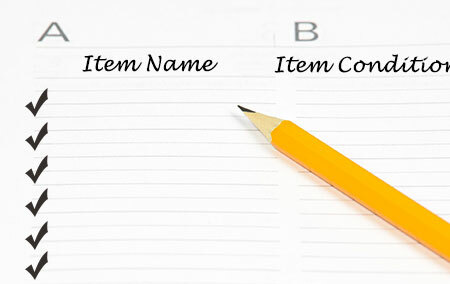 After completing the inventory, the driver will usually sign each page and ask you to sign each page, it is important before signing that you make sure the inventory lists every item in your shipment that the entries regarding the condition of each item are correct.You have the right to note any disagreement. When your shipment is delivered, if an item is missing or damaged , your ability to recover from the mover for any loss or damage may depend on the notations made. The driver will give you a copy of each page of the inventory. Attach the complete inventory to your copy of the bill of lading. It is your receipt for the goods. At the time your shipment is delivered, it is your responsibility to check the items delivered against the items in your inventory. If new damage is discovered, make a record of it on the inventory form. Call the damage to the attention of the driver and request that a record of the damage be made on the driver’s copy of the inventory. After the complete shipment is unloaded, the driver will request that you sign the driver’s copy of the inventory to show that you received the items listed. Do not sign until you have assured yourself that it is accurate and that proper notations have been entered regarding any missing or damaged items. Then you sign the inventory, you are giving the driver a receipt for your goods. Packing all your own items will save you money. It can also be quite stressful, so we came up with some simple techniques to make it easier. Remember, if you have any questions contact your moving company. Use the proper packing materials. 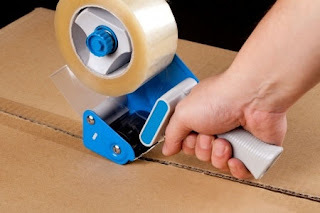 Sturdy boxes, packing tape, bubble wrap, and packing peanuts can all be purchased at local moving and shipping companies. Wardrobe boxes plus other specialty boxes can be found there. One room at a time…. It’s more efficient and less stressful if you pack one room at a time. Be sure and label each box appropriately ( on top and side ) with a description of the contents. Boxes containing breakable or sentimental items should always be labelled as “ fragile “ . Keep a detailed list of what items are packed in each box to make unpacking easier. Empty all drawers of breakable or spillable items. Also, it’s a good idea to put all furniture knobs, screws etc. in one container so they won’t get lost or damaged. Do not pack flammable goods or heat-sensitive items like candles, records audio and video tape, computer disks, propane tanks, aerosol cans, oil based paints and certain cleaning fluids. Wrap each item individually and always place a layer of crushed paper on the bottom of the box for cushioning. Fill empty spaces with additional crushed paper. Will you be storing anything? If so, make sure your boxes are firmly packed with the heaviest things on the bottom. It’s a smart idea to pack according to the seasons which your things will be in storage and mark the boxes appropriately. Put heavy items in smaller boxes so they’re easier to carry. Make sure the items you need first are loaded last (i.e. kitchen items, telephone and radio ). Use common sense, keep in mind the size, sturdiness and weight of your boxes. Pack a separate bag with toiletries, a change of clothes, etc., for the first couple of days after your move. If possible, plan your move to occur on a weekday when banks, utilities and government offices are open. If your shipment hasn’t arrived or you’re simply too weary to unpack everything, set aside some essential items you’ll need for the first night in your new place. Picking up and delivering shipments on the agreed dates..
You and your mover must reach an agreement as to when your shipment is to be picked up and delivered. It is your responsibility to determine on what date, or between what dates, you need to have the shipment picked up and on what or between what dates, you require delivery. It is the mover's responsibility to tell you if the service can be provided on or between those dates or , if not, on what other dates the service can be provided. In the process of reaching an agreement with a mover, it maybe necessary for you to alter your move and travel plans if no mover can provide service on the specific dates you desire. Do not agree to have your shipment picked up or delivered as soon as possible. The dates or periods of time you and the mover agree on should be definite. Once an agreement is reached, the mover is required to enter those dates on the order for service and the Bill of lading. Once your goods are loaded, the mover is contractually bound to provide the service described in the Bill of Lading. The only defence for not providing the service on the dates called for is the “ defence of force majeure.” This is a legal term which means that if circumstances which could not have been foreseen and which are beyond the control of the mover prevent the performance of the service as agreed to in the Bill of Lading, the mover is not responsible for damages resulting from the non-performance. If, after an Order for Service is prepared, the mover is unable to make pickup or delivery on the agreed dates, the mover is required to notify you by telephone, telegram or in person. The mover must tell a time when your shipment can be picked up or delivered. If for any reason you are unable or unwilling to accept pickup or delivery on the dates named by the mover, you should attempt to reach an agreement on an alternate date. The establishment of a delayed pickup or delivery date does not relieve the mover from liability for damages resulting from the failure to provide service as agreed. However, when you are notified of alternate delivery dates it is your responsibility to be available to accept delivery on the dates specified. If you are not available and willing to accept delivery, the mover has the right to place your shipment in storage at your expense or hold it’s shipment on it’s truck and assess additional charges. If the mover fails to pick up and deliver your shipments on the dates entered on the Bill of Lading and you have expenses you otherwise would not have had, you may be able to recover those expenses from the mover. This is what is called an inconvenience or delay claim. Should a mover refuse to honor such claim and you continue to believe that you are entitled to be paid damages, you may sue the movers. The FWHA has no authority to order the mover to pay such claims. While that it is hoped that your shipment will not be delayed, you should consider the possibility and finally before you agree for a mover transport your shipment what payment you can expect if the service is delayed through the fault of the mover. You must advise the mover at the time you make the arrangements for the move if you wish to be notified of the weight and charges. You are required to give the movers your telephone number or address to which the notification is to be received. The mover must notify you of the charges at least one 24-hour weekday prior to the delivery, unless the shipment is to be delivered the day after pickup. The 24-hour requirement does not apply when you obtain an estimate of the costs prior to the move or when the shipment is to be weighed at the destination. At the time of delivery, the mover expects you to sign a receipt for your shipment. This is usually accomplished by having you sign each page of the mover's copy of the inventory. Movers are prohibited from having you sign receipt which does not provide that you are signing for shipment in apparent good condition except as noted on the shipping documents. At the time for payment of transportation charges, the mover is required to give you a freight bill identifying the service provided and the charge for each service. It is customary for most movers to give a copy of the Bill of lading as a freight bill. Except in those instances where a shipment is moving on a binding estimate, the freight bill must specifically identify each service performed , the rate per unit for each service, and the total charges of each service. Do not accept or pay a freight bill which does not contain this information. If your shipment was transported on a collect on delivery ( COD ) basis, you will be expected to pay the total charges appearing on the freight bill at the time of delivery. It is customary for movers to provide in their tariffs that freight charges must be paid in cash, by a certified check, travelers check, or bank check ( one drawn by a bank on itself and signed by an official in the bank ). When this requirement exists , the mover will not accept personal checks. At the time you make arrangements for your move , you should ask the mover about the form of payment that is acceptable. Some movers permit payment of freight charges by use of a credit card. However , do not assume that because you have a nationally recognized charge or credit card that it will be acceptable for payment. Ask the mover at the time the arrangements are made. Movers customarily make every effort to assure that while your shipment is in their possession for transportation, no items are lost, damaged or destroyed. However, despite the precautions taken, articles are sometimes lost or destroyed during the move. In addition to any money you may recover from the mover to compensate for lost or destroyed articles , you are also entitled to recover the transportation charges represented by the portion of the shipment lost or destroyed. On shipments with partial loss or destruction of goods, the transportation charges must be paid. The mover will then return proportional freight charges at the time loss and damage claims are processed. Should your entire shipment be lost or destroyed while in the mover's possession, the mover cannot require you to pay any of the charges except the amount you have paid or agreed to pay for added liability protection. The fact that you do not pay any transportation charges does not affect any rights you may have to recover reimbursement for the lost or destroyed articles providing you pay the charges and liability protection. Should your move result in loss or damage to any of your property, you have the right to file a claim with the mover to recover money for such loss or damage. You have nine months following either the date on which the shipment should have been delivered, to file a claim. However, you should file a claim as soon as possible. If you fail to file a claim within 120 days following delivery and later bring a legal action against the mover to reclaim the damages, you may not be able to recover your attorney fees even though you win the court action. While the federal government maintains regulations governing the processing of loss and damage claims, it cannot resolve those claims. If you cannot settle a claim with the mover , you may file a civil action to recover in court.. 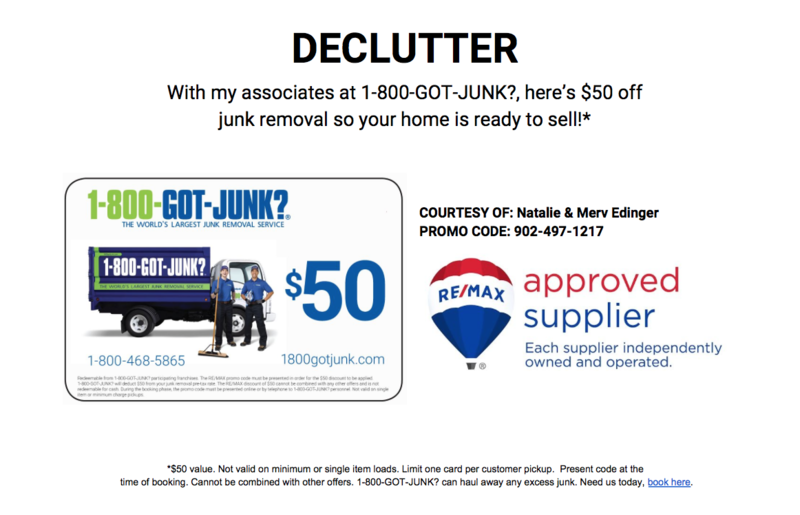 Through their Approved Supplier 1-800-GOT-JUNK?, RE/MAX ensures the junk removed from houses gets recycled or properly disposed of. As a special offer to RE/MAX clients, they are now offering a SAVINGS of $50 at time of booking.